The Web edition of the Uplinx Phone Control Tool runs on Windows Server (2012R2/2016, Standard or higher, virtualized VMware or Hyper-V, 4GB Ram, 65 GB disk). 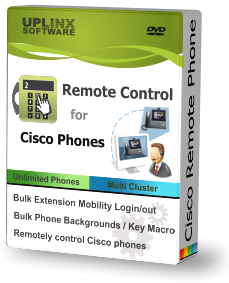 This server license includes up to 1,000 phones on unlimited CUCM clusters and unlimited users. To extend the license beyond the 1,000 phones included in the Server License, additional phone license bundles can be added on top of the base license. Each bundle provides licenses for 1,000 phones. Annual software maintenance and support is included in the first year. In the following years it is 25% of the total licensing cost. What are the advantages of the Web edition?